How to enable networking-infoblox ipam plugin in RDO Liberty? I installed python package and added configuration in /etc/neutron.conf as per the doc. But still it cannot find find the driver. What I'm missing? You should get no errors when you try to import the module. Can you post any logs? So, is that the first error you see? 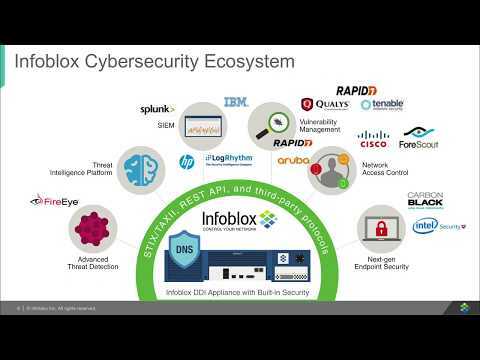 Does the subnet you are trying to allocate from already exist in Infoblox? That is, did you create the subnet in Neutron *after* installing the driver? If so, is it created in Infoblox? If it was created before installing the driver, then it probably exists in Neutron but not in Infoblox. In that case, you should manually create it in Infoblox and tag it with the SubnetID from Neutron. This is while attempting to create os instance. The network exists in neutron already. But was created before I installed the infoblox driver. Is it "SubnetID" or "Subnet ID" (with the space) attribute? The driver started working once I added subnet ID attribute. It does not create DNS record though. Is it expected? I briefly looked at the code and it seems it should be catching instance name from compute.instance.create.end? Another thing is that it's allocating IP from IPv4 reserved range. Is it expected? (the log is below). It seems it's not getting mac address either. The 1.0.0 driver is IPAM only, no DNS. The IP address will be allocated out of the Neutron allocation pools, which correspond to the reserved ranges in Infoblox. So that is expected. I don't recall if the MAC issue is expected, I will have to check into it. Wonderful! I can't provide release date information but you can contact me with a private message and let me know what company you are from and your email or phone and we can work something out. Sounds good! Sent you a private message via cummunity site email.